Bottom line? If you have a UTI, you’re not alone. Have you seen this study yet? No? 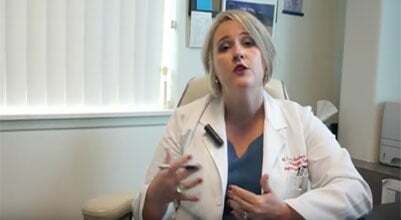 Researchers led by Thomas Hooton, M.D., the clinical director of the division of infectious diseases at the University of Miami School of Medicine, recently determined that women prone to UTIs who increased their daily water intake by to 2.8 liters total per day were significantly less likely to get another UTI than those who did not. 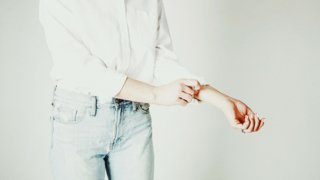 The research team followed 140 healthy premenopausal women with a history of recurring urinary tract infections (3 or more in the last year or 2 in the last six months). These women self-reported a low water intake of less than 1.5 liters daily. That’s about 6.3 cups. The group was divided in two: 70 women were instructed to increase their daily water intake by 1.5 liters, and the remaining 70 women were the control group (no change in daily routine). 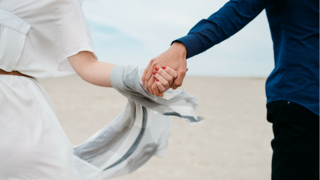 The researchers tracked the women for one year. In the prevention group, the average daily water increase was 1.15 liters, for a daily total of 2.8 liters (12 cups). The average daily intake was 1.2 liters (5 cups) in the control group. 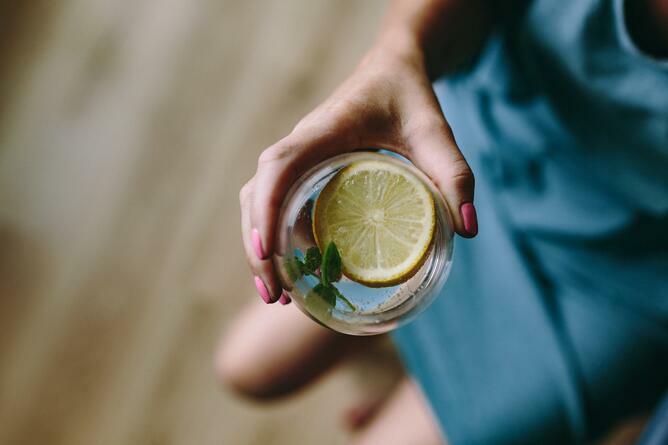 At the end of the study period, the group of women that increased their water intake (to about 2.8 liters per day) experienced 48% fewer urinary tract infections than did the control group. The prevention group also had more days before their next UTI: 143 compared to 85 for the control group. This reduction in urinary tract infections for the prevention group meant that there were also 47% fewer courses of antibiotics prescribed to them than in the control group. This is an incredibly important statistic considering the prevalence of antibiotic resistance throughout the world and the possibility that soon antibiotics may not work as well—or at all—as they have in the past because of antibiotic resistance. That’s because one of the MOST important things you can do to prevent urinary tract infections is to take d-mannose every day, according to science. Enter Dmanna. 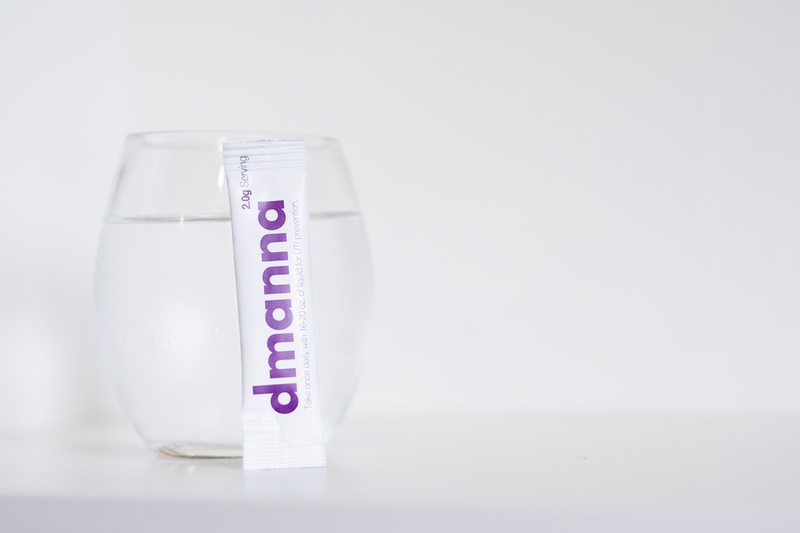 Dmanna is a daily UTI prevention powder made from d-mannose, available in in a convenient, single-serving packet, that dissolves instantly in any beverage. It is the safest, most affordable and effective treatment for UTIs currently on the market, with no long term side effects. Recent studies have shown that women taking the main ingredient in Dmanna have fewer UTIs4, less bladder pain, and less antibiotic usage than women taking nothing at all! Including Dmanna into your daily health routine allows you to disable the use of harmful antibiotics and prevent your UTIs before they ever develop. 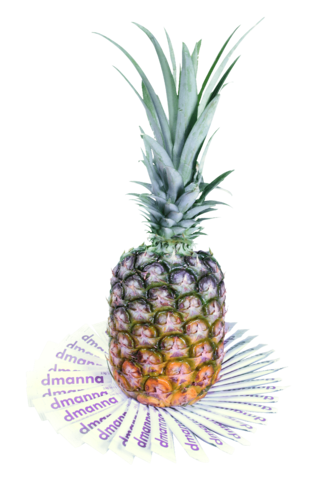 Click here to find out how to get Dmanna for UTI prevention!